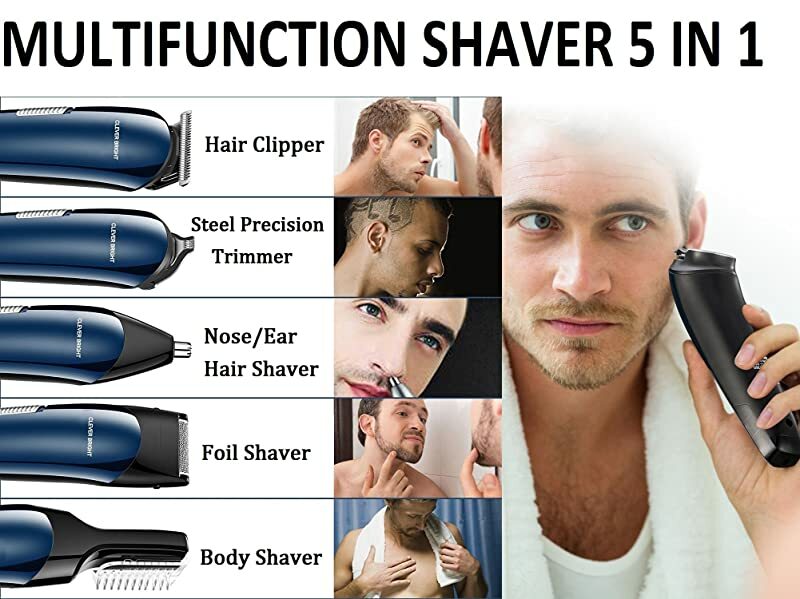 【Safe and Comfortable】The multifunctional intelligent electric head shaver hair trimmer,has 5 professional shaver head, high-quality refined steel head, Seiko secret agents, sharp, abrasion, comfort and safety, longer life than ordinary knife head, a set of hair shaver in new era. 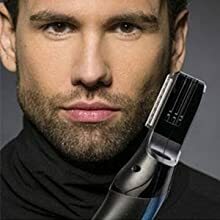 【Painless & Easy to Use】Precision facial hair & body grooming trimmer with titanium blade technology,defines both straight or cured lines and soft edges, high speed trimmer and sharp blades system will remove your unwanted hair all over your body quickly and smooth without pain. 【Strong Power】 Surging power, pure copper core, the fuselage has 10 watts of strong power, stable performance, more powerful power! 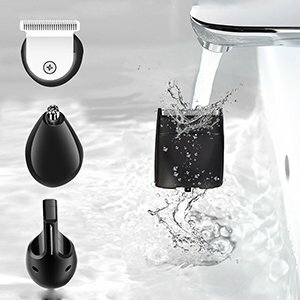 【Pluggable Dual Purpose】 While charging can also shaver your hair, without affecting your shave moods. 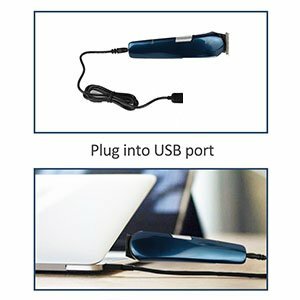 The USB rechargeable and light weight let you bring the hair chippers anywhere with no worry about the plug spec idea for travel，compact & exquisite appearance suitable for make gift. 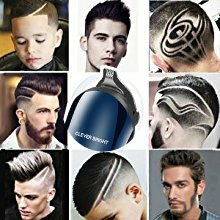 CLEVER BRIGHT has committed to development safe, practical, convenient, multi-functional, advanced razors and hair clippers. ❤Detail blade, narrow blade for precision trimming and styling. ❤Shaver,for giving a clean shave finish to your beard or stubble. ❤Body trimmer,will keep you trim and tidy at all times. ❤Beauty head of change,changeable heads safe shaving of all body parts. Three guide combs for full size trimmer and precision trimmer. Detail blade, narrow blade for precision trimming and styling. Sharp, safe, easy and hygienic to remove unwanted nose and ear hair easily and comfortably. ❶The stainless steel moving and standing blades with precision gap, deep close to the skin, more pruning and low-friction heat, doesn’t produce high-temperature scalded your skin. ❷Electric shaver rechargeable design,effectively prevents odor and bacteria,can cleans in seconds. keeps the blade sharp. ❸Two ways charging-Can be charged in in the stand or charge the machine directly. 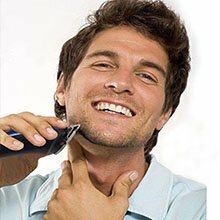 ❹Electric razor can trim any where you want trim, give you a good mood. 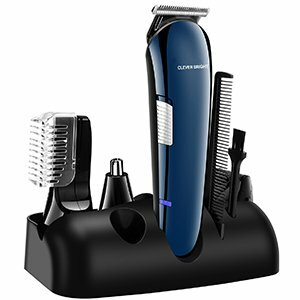 Ultra-sharp blades for precision cutting CB 007 Precision Trimmer - The blades of the our beard trimmer are sharp, providing the high-performance precision you need to achieve your style every day. ❶Charge the appliance fully before you start using it for the first time or after a long period of disuse. ❷It will take approx 8 hours to fully charge the battery. ❸A fully charged appliance has a cordless operating time of up to 40 minutes. When you charge the appliance for 3 hours, you can use it for 15 minutes. ❹The appliance does not run from the mains. ❶Do not use water or a moist cloth to clean the handle. Never use compressed air, scouring pads, abrasive cleaning agents to clean the appliance. 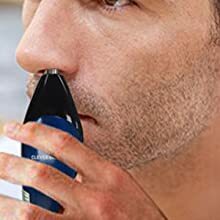 ❷Micro shaver, Cutting element, Nose/ear hair trimmer. ❸Precision trimmer and Lettering head use some lubricating oil, the result is better. 1. Make sure the appliance is switched off and disconnected from the socket.